Stefanie Schurer was born and bred in Munich. She spent her school years at the Nymphenburger Gymnasium secondary and Berchtesgaden’s sports boarding school. After stays in the Italian and French-speaking parts of Switzerland, she acquired a degree from the Munich-based Sprachen- und Dolmetscherinstitut. Other career steps included Bayerische Vereinsbank, Munich, the representation of Deutsche Centralboden Kredit AG, today‘s Eurohypo, and eventually the Prinz zu Hohenlohe und Jagstberg investment company. As managing director of Immocon GmbH, Stefanie Schurer subsequently committed to the residential sector and turned the housing broker into a successful real estate agency, focusing both on residential and commercial objects. There, Stefanie Schurer also became acquainted with the properties business. As host and producer of a real estate TV broadcast, she is among the trendsetters of this advertising format across the German-speaking region and has reached a high level of popularity. 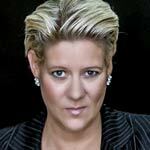 In 2011, she founded ORCA Immobilien GbR together with Guido Kellermann. Guido Kellermann has worked his way to the top thanks to his great perseverance and special intuition for people and situations. The Munich-born entrepreneur climbed the career ladder, first being an apprentice, becoming a member of BMW AG’s business management team. After acquiring his economics degree, Kellermann changed to Kirch group’s TV production sector, before taking the plunge into self-employment. 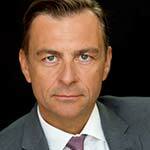 Since then, Guido Kellermann has celebrated a string of successes as founder and partner of reputable companies with various interests in the media and real estate industry, among others as a supervisory board member of Quality Lifestyle AG (the former Calando) and as real estate investment consultant. In 2011, this was followed by the establishment of ORCA Immobilien GbR, and the creation of ORCA Immobilien Group with ORCA Invest and ORCA Living five years later.